I bought my boat, a Jeanneau 46, through the services of Marine Team. 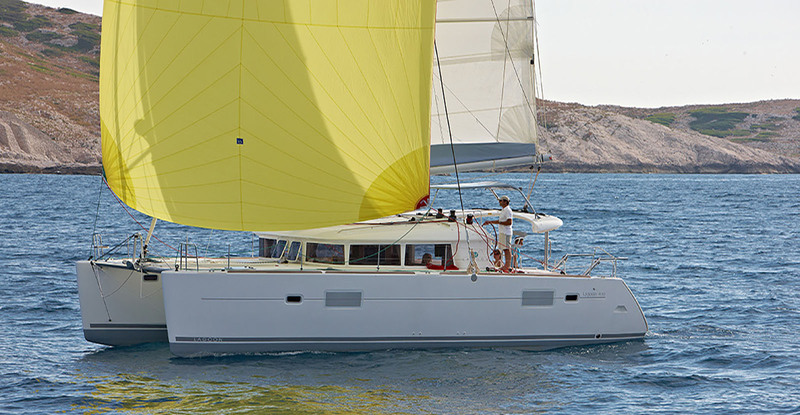 Looking in Spain for a Dufour 32, we found “marineteam”. Even in this case of a relative small transaction they spent unlimited time , not only to please the seller, but certainly also to support us, as buyers. Objective,open , professional are keywords. Beside that Paco and Barbara are very pleasant people to work with! It’s a great pleasure to work with Paco Maldonado and Bàrbara. During the buying process they supported us very well with their expertise, service mentality and passion for yachts. They catered well to the needs of us as buyer and the seller and have found mutually acceptable solutions. Magnifico tándem profesional y personal con ” Barbara y Paco “. Pendientes de cada detalle en cada momento y con un trato exquisito. Estamos encantados con nuestra nueva embarcación el ” As de Guìa” pero más aún con vuestra entrega, dedicación y profesionalidad! Tenéis dos nuevos amigos para lo que queráis…una abrazo fuerte a los dos!!! Thank you so much Paco and Barbara for the service and attention we have Received from you both when buying our Grand Soliel. Nothing was to much trouble for you before we purchased the boat and we are so pleased that this has also continued after we took delivery. We would have no hesitation in recommending your company and wish you both every success for the future. Mais chut… C’est un secret ! Thank you both for all your help during our purchase of the yacht Wind Song and for your excellent after sales service. Your professionalism and dedication to customer satisfaction are without doubt the best we have ever experienced. It has been a most pleasurable experience on both a commercial and personal level. Marine Team distribuera les Dufour Yachts à Valence. Contactez-nous pour recevoir des informations sur les nouvelles fonctionnalités de notre gamme ou visitez-nous lors des prochains salons nautiques! Bienvenue dans vos nouvelles installations à la RCN de Valence. Marine Team distribuera les catamarans LAGOON à Valence. Contactez-nous pour recevoir des informations sur notre gamme ou visitez-nous lors des prochains salons nautiques. Améliorez les conditions d’assurance de votre bateau. Demandez votre devis gratuit maintenant!